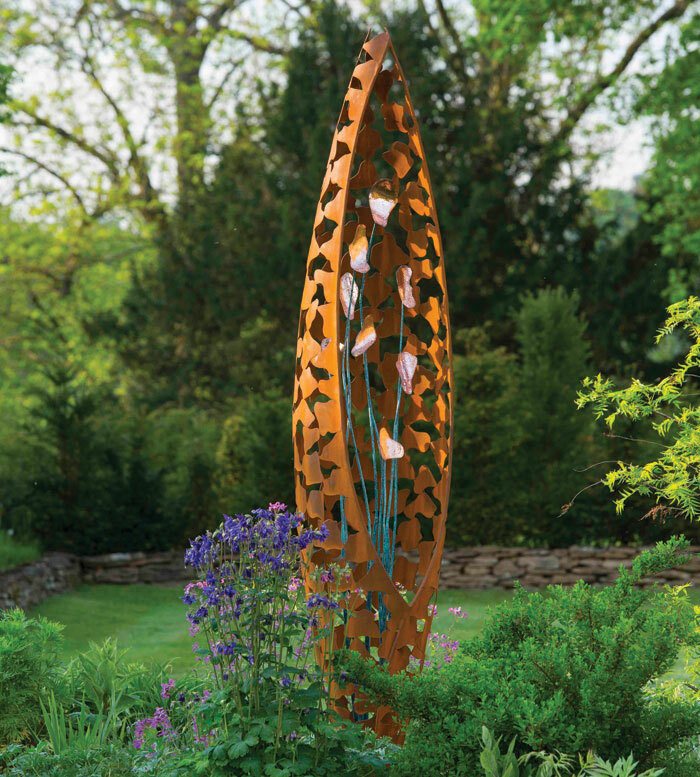 Out of the shadows of a varied CV and into the sunchine of creating a much-desired portfolio of garden sculptures, David Harber is a new recipient of a Queen’s Award for Trade for his metal art. 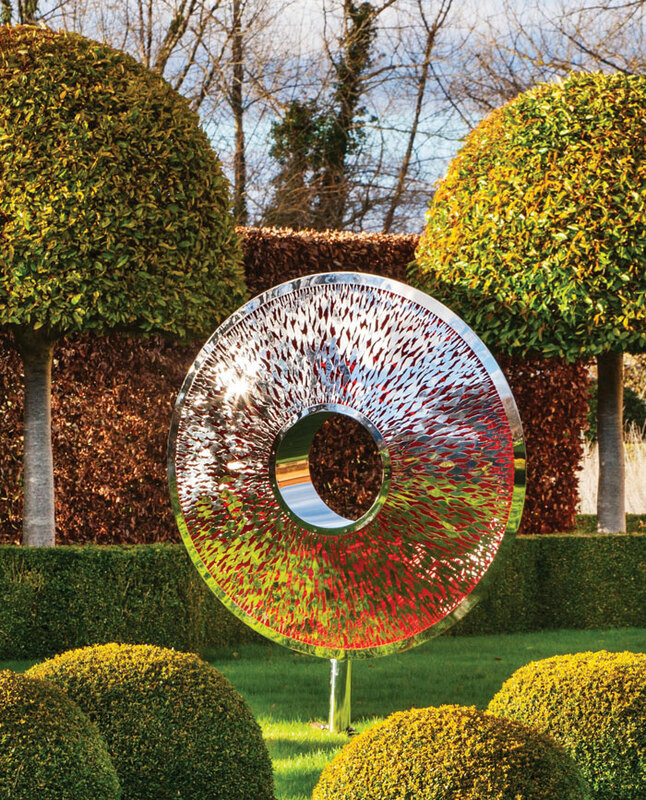 For a ‘darling’ client list of politicians, ministers, pop stars and banks, sculptor David Harber’s eponymous company is renowned for creating its exquisite signature sundials and sculptural pieces, combining a visual beauty of art, science, maths and engineering. 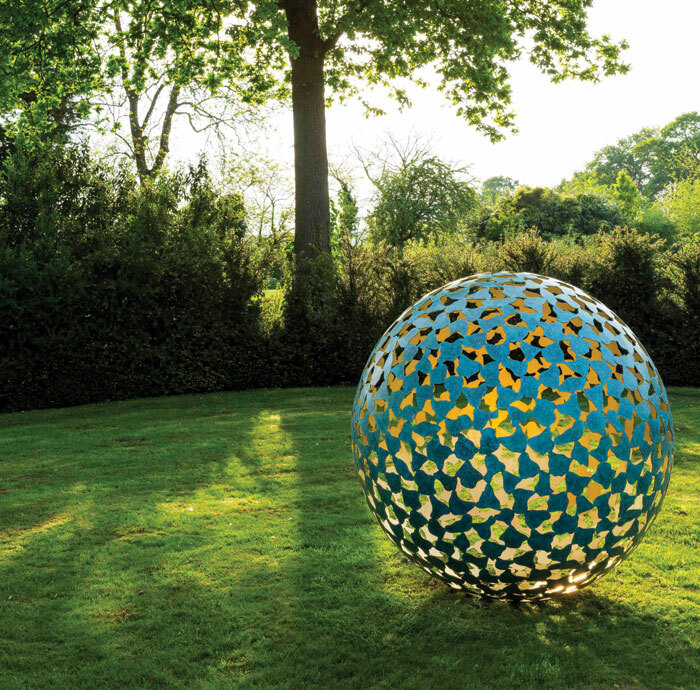 Every year David Harber’s works, new and old, are displayed at the RHS Chelsea Flower Show, which has become a key event for the company of some 30 workers, at its workshop in Oxfordshire. This year the celebrations started ahead of this year’s exhibit as it was also announced that the company had won the Queen’s Award for International Trade. A bureaucratic process, rigorous entry procedure and strict press embargo, it has all the hallmarks of a prestigious award. ‘Oh, I’ve met her a few times already,’ says Harber ahead of the formal award presentation by the Queen, ‘and the last time...I got a lovely photograph [of myself] with the Queen. I showed it to my mother, who said “You didn’t brush your hair!” And that’s all she could say!’ Harber’s anecdotes are plentiful, many involving his meetings with royals owing to his work featuring at sites opened by them. Being labelled a ‘sculptor’ or ‘artist’, Harber says it was a title given him after not intentionally setting out to be either. Praising his staff and wife, Harber also pays gratitude to his loyal clients having faith in him after leading what he describes as a ‘checkered career’. Schooled at Devon’s Dartington Hall, Harber left education at 16 to try his hand at pottery. He then worked on a nature reserve, as a rock-climbing instructor, cameraman for the BBC (specialising in rock climbing and mountaineering productions) before running a travelling tourist business in France. ‘On a whim I then bought a boat in Rotterdam and turned it into a travelling arts and theatre centre in France, so a fairly normal career path then...’, he says. Arriving back in the UK after 10 years abroad, he settled in Oxfordshire in a rented cottage. Harber says it was far from idyllic: he was in financial tatters. ‘Being broke is a very sobering position to be in and it focuses the mind’, he says while recalling being down to his last £50. In his eureka moment, he headed to the Museum of History and Science; camera and measuring stick in tow. ‘They [the museum staff] were so bowled over by this madman coming in… they let me open some of the cases and get some of their sundails out to measure and look at them more closely,’ he says. Armed with a bit of knowledge, thanks to the museum, Harber set about constructing his first sundial. With relief he sold it for the equivilent of two months’ rent. Immediately he made a second, which he evolved and refined. He describes an ‘obsession’ he has with time and being particularly inspired by shadow and change, which is still present in his work today. 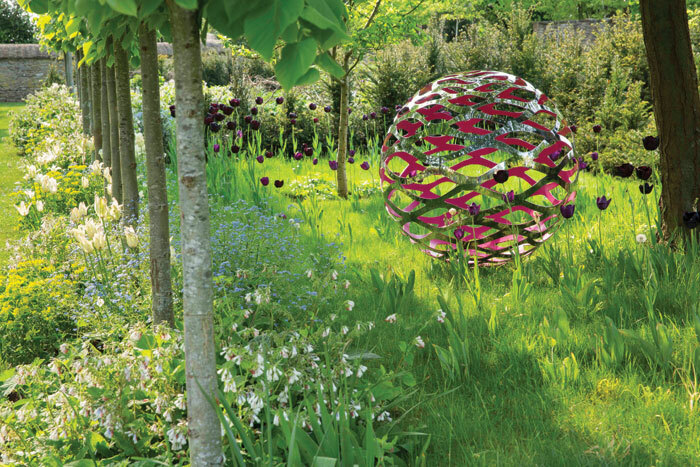 For example the piece Iris Torus, launched at this year’s Chelsea Flower Show, is a piece that plays between positive and negative, solid and void; distorting and reflecting the immediate environment. ‘Producing elegant forms using an uncontrollable function’ is how Harber’ describes his passion 24 years on from first discovering it. Today his company is an award-winning international art enterprise, and he is invigorated by it.